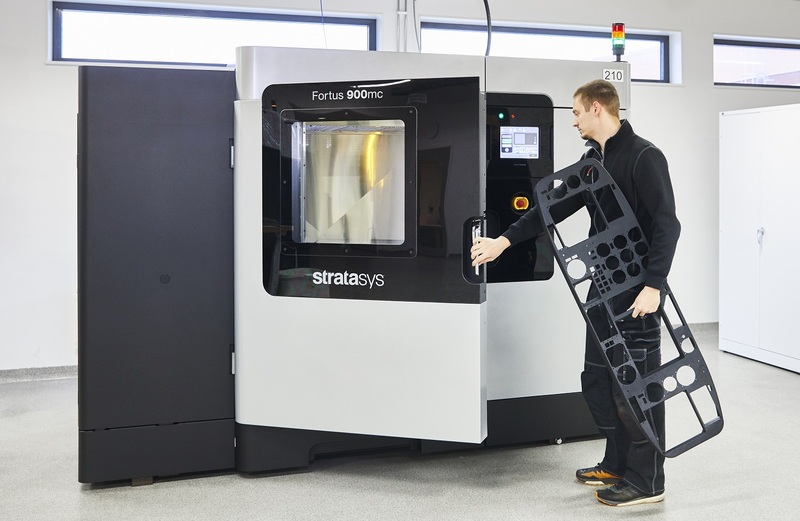 Digital Mechanics has invested in a Fortus 900MC from Stratasys. This new 3D-printer is the first of its kind in Sweden. It is designed to build parts up to 900 x 600 x 900 mm. The machine's primary production materials are ABS and Ultem, which are the most common materials when it comes to printing large parts. Fortus 900MC uses FDM technology (Fused Deposition Modelling) that builds very accurate details. Following this investment, Digital Mechanics will have the largest FDM capacity in Scandinavia. The investment in a new, large 3D-printer comes as a direct consequence of recent successes on the export market for Digital Mechanics. "With a Fortus 900MC we have the machinery necessary to compete with the larger players in Europe. ", says Anders Sjöberg, Sales Manager, Digital Mechanics. This is Digital Mechanics eleventh 3D-printer, and the new machine has already produced large, complicated parts in one piece. "We now broaden our capacity, and it will be very interesting to be able to meet Swedish industry's needs for larger 3D-printed parts. With the Fortus 900MC from Stratasys we will have the perfect machine for large prototypes, and production of large parts in smaller series. ", says Fredrik Finnberg, CEO Digital Mechanics. Fortus 900MC allows Digital Mechanics to be an even better partner to Swedish industry, enabling quick and cost effective pruction of 3D-printed parts in more than 30 different materials.